The following courses are all available for onsite delivery, and in some cases are scheduled as public courses. Tailored versions of the above courses are also available for courses delivered onsite. Contact us to discuss your requirements. After focusing on programming and writing in more recent years, I am now once more conducting frequent training courses on Linux/UNIX system programming and a number of related low-level programming topics that are of particular relevance for developers of low-level user-space applications in domains ranging from embedded to enterprise server systems. The emphasis of my courses is on providing deep conceptual understanding coupled with intensive in-class practical work. I have been programming on UNIX systems since 1987 and teaching UNIX system programming courses since 1989. 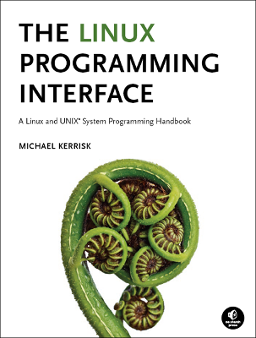 I'm the author of The Linux Programming Interface, a 1550-page book widely acclaimed as the definitive work on Linux system programming. I am actively involved in Linux development—working with kernel developers on testing, review, and design of new Linux kernel-user-space APIs. Since 2004, I have been the maintainer of the Linux man-pages project, which provides the manual pages documenting the Linux kernel-user-space and GNU C library APIs. As well as being the project maintainer, I have also written or cowritten around 40% of the 1000+ manual pages provided by the project. For further information about the trainer, as well as many other reasons why you might want to choose man7.org training courses, look here. I provide consulting expertise in the same areas as the courses listed above. Please contact me to discuss your requirements and my consulting rates.